PEUGEOT dealers have outperformed the UK new car market so far this year by registering a 3.75% growth in March sales, according to the latest registration figures from the Society of Motor Manufacturers and Traders (SMMT), which shows the UK new car market down 1.85% for the year. The strong sales performance has enabled PEUGEOT to increase its UK market share from 4.13% to 4.37% in March. 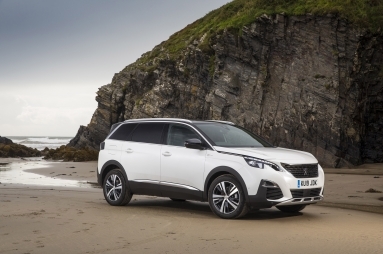 PEUGEOT’s 2019 March sales have surpassed 22,900 vehicles, with the brand consolidating seventh position in the UK new vehicle market. PEUGEOT’s success is supported by its on-going strategy of achieving strong residual values for its latest vehicles, which protects a customer’s investment better as well as delivering attractive monthly premiums on finance deals. PEUGEOT dealers have also adopted a strategy of focusing on retail and green channel sustainable B2B business and are not forced to pre-register vehicles to boost figures. The year so far has seen PEUGEOT record strong results across all its sectors. Its fleet sales were up in March, with a 4.13% year-on-year growth and a 3.20% UK market share. 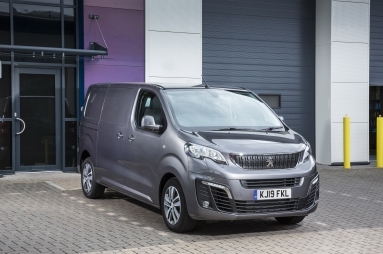 PEUGEOT commercial vehicles completed the story, with a significant 14% yearly surge in registrations, ensuring the brand is now the third largest commercial vehicle provider in the UK. David Peel, Managing Director at PEUGEOT UK, said: “Three years ago we began restructuring and resizing our dealer network to ensure that all of our network partners are profitable and motivated. We have a clear disciplined strategy to build a solid, sustainable foundation through a responsible trading style that delivers strong residual values. Add to this our award winning PEUGOET range of cars and vans and it’s no surprise to see the results starting to pay off as our brand continues to grow from strength to strength. All PEUGEOT cars are available through PEUGEOT’s Order Online facility, allowing customers to order their car online including part exchange from start to finish, and arrange collection or delivery from the dealer of their choice.